“Everything is Awesome!” LEGOLAND Florida is oh-so-very awesome and amazing in real life! If you grew up building with LEGOs and now have kids that like to build, you are really going to enjoy visiting this Central Florida theme park. Have those walking shoes ready because with 150 acres of LEGO fun to explore, you will need a plan of attack before visiting this park! 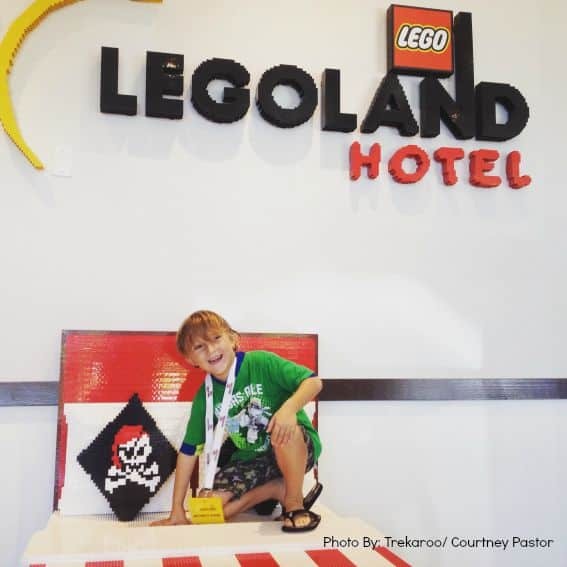 A few quick tips, a couple of money saving options, and a smart plan of attack will have you LEGOLAND Florida ready in no time! 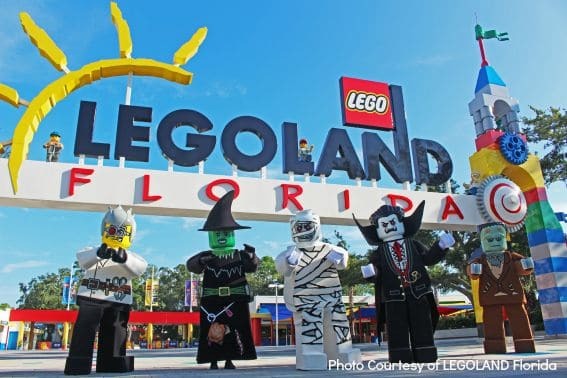 Hop in the car or on a plane and head to Central Florida (Winter Haven to be exact), pack your swim suit, and load up on the sunscreen, because it’s time to hit the park and explore LEGOLAND Florida! There are quite a few ways to get good deals on a LEGOLAND vacation. Take advantage of all the specials that LEGOLAND Florida has to offer by planning ahead and searching online before heading to the park. Be sure to read through all the options to get the best deal on an ideal vacation for your family. Pay close attention to multi-day tickets and packages as they usually include discounted prices. Purchasing tickets a week or more in advance and online gets visitors the best admission price. Florida residents, think about if the annual Awesome Pass might be the best option as it has no blackout dates and includes special events. It’s also helpful to know that children under three get in for a nominal fee of $3. 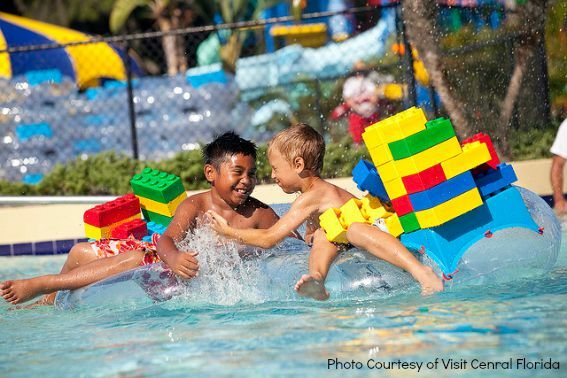 Adding the LEGOLAND Water Park on to any ticket costs an additional $15, and visitors can purchase an upgrade inside the park if it starts to heat up mid-day. It’s free for teachers and active military. Extra Brick Hours! Enter the park 30 minutes early and get first dibs on the rides you just can’t wait to ride. Cool Room Decor – just the coolest themed rooms in Central Florida for your little LEGO lover. Every room includes a separate children’s sleeping area to give the kids a break from their parents. There is a treasure hunt in every room. Use the clues to find the key that unlocks a special treasure. Free Master Model Builder Sessions. Register upon arrival as a session is included in your stay. Rope drop, aka park opening, is generally the least crowded time of day for any theme park. Make a point to arrive when the park opens and head to its newest area, LEGO Movie World. I had a chance to check it out for a media preview and it really is special. 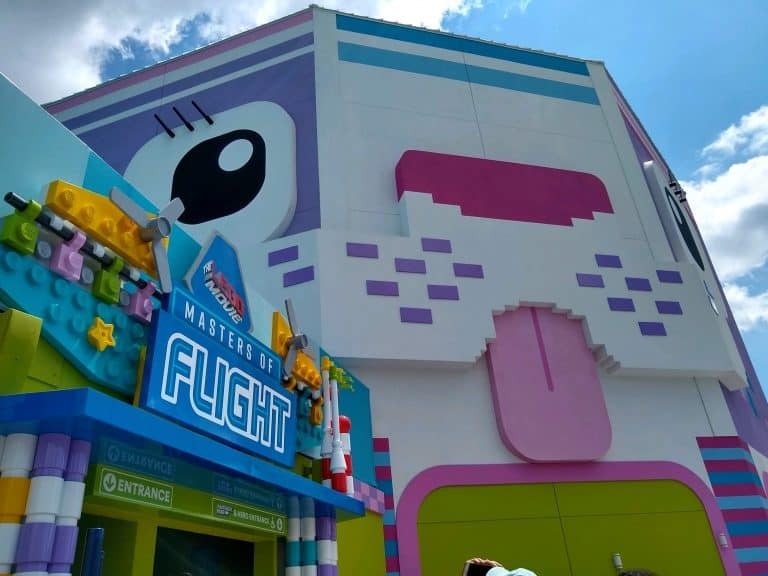 Masters of Flight is THE popular ride in LEGO Movie World and there’s good reason why, too. If you’ve visited Walt Disney World, think of it as Soarin’ Around the World but the LEGO Movie version. Next, hit Unikitty’s Disco Drop. It’s a tame version of the larger ride, but still just as fun. And, if you’re still in this area of the park, grab some Tacos at Tacos Everyday. It has deliciously-fun, colorful choices. 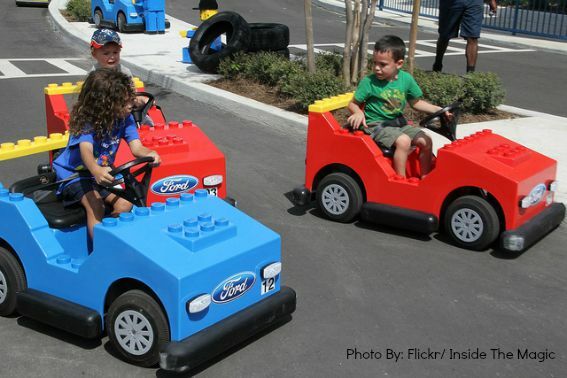 LEGOLAND Florida is divided into 12 lands that all offer their own themed dining, rides, and attractions. If the kids are hooked on a particular theme (Heartlake City or World of Chima), plan to visit those lands first. This place is truly a LEGO lovers paradise and the little famous bricks are integrated into every part of the park. Miniland may not have any rides, but is captivating to see the replicas of famous landmarks and cities displayed in LEGO bricks. The Cypress Gardens Historic Botanical Gardens is a beautiful walk as well. Make sure to get a show guide upon arrival to know when and where the shows and character meet and greets will be taking place. Pro Tip: Bring the stroller (even for the younger elementary school-aged kids) as the day can be long and little legs get tired. LEGOLAND FLorida makes it very easy for families to know if a child is too small to go on a ride. Make sure to double-check these height requirements before visiting. Many riders might require an adult to accompany as well. If the child is too small, they have TOT SPOTS located immediately outside of the rides, which are great places to occupy the little ones while waiting for the older kids. Everyone is happy! 5. Heading to the Water Park? There are seven rides and attractions in the Water Park, so depending how you’d like your day to flow, you could stay all day or just for a few hours to cool off. Plan to bring clothes to re-enter the park as swimsuits are not allowed in the main park. Lockers and cabanas are available for rental. Be sure to check the dates as the Water Park is open seasonally. Bring ponchos. With the Florida weather, you’ll never know if it will downpour right in the middle of your day! Hold off on LEGO sets until later. Bring Minifigures to trade! This is a tradition within LEGOLAND. 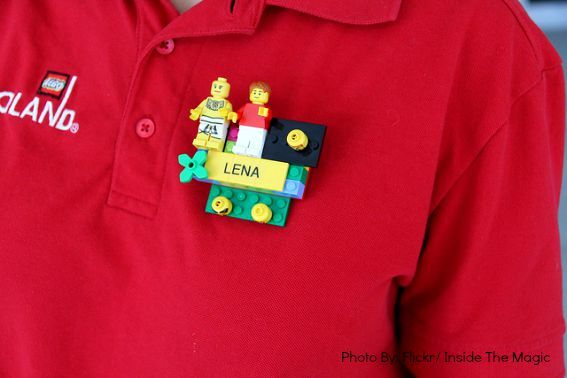 You’ll definitely want to join in the fun and trade Minifigures with the Model Citizens (LEGOLAND employees). Keep an eye out for them! 5. Staying in Orlando? Take the Shuttle. 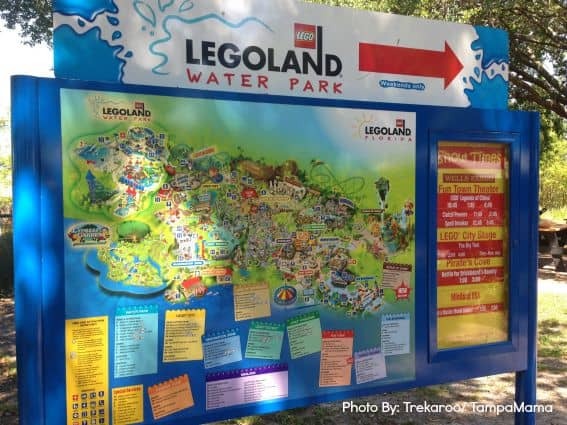 Want to visit LEGOLAND Florida while staying in Orlando? That’s easy! 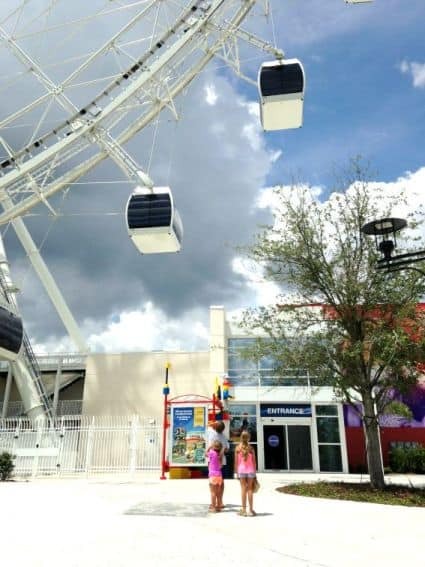 Look high in the sky and find the Orlando Eye at I-Drive 360. This is where you will also find a LEGOLAND shuttle stop. Only 45 minutes from the Orlando theme parks, this reservation shuttle will pick guests up from the centrally located I-Drive 360 and bring them right to the entrance of LEGOLAND Florida in Winter Haven. A 24-hour advance reservation is required and a price of $5 per person (plus tax) will be paid at booking. Parking is free in the garage at I-Drive 360. Pro Tip: If you purchased an Awesomer or Awesomest Pass, then stay to visit the attractions SEA LIFE Orlando, Madame Tussauds Orlando, and The Orlando Eye at I-Drive 360. They’re all included! 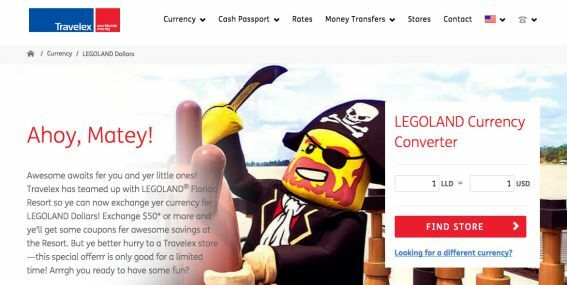 If you know that you’ll be spending more than $50 at LEGOLAND Florida, stop by a participating Travelex location to exchange your currency for LEGOLAND Dollars and you’ll get some coupons for some awesome savings at the Resort! Travelex locations are in the continental United States only. This deal is for a limited time. 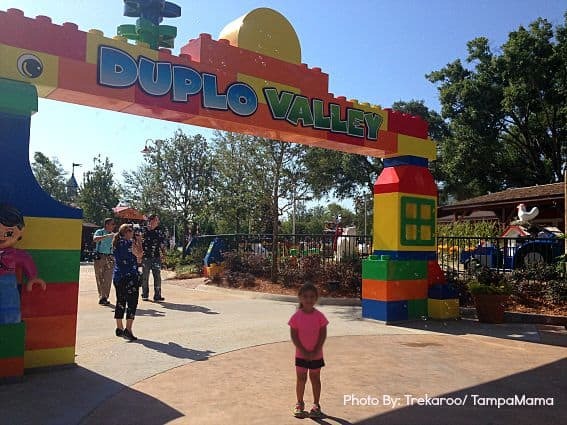 Pro Tip: If you are bringing an infant, head over the the DUPLO Farm in DUPLO Valley where you’ll have access to nursing rooms, high chairs, a private bathroom, changing tables, microwave, and even a phone charging station. These amenities are for parents with infants and babies. 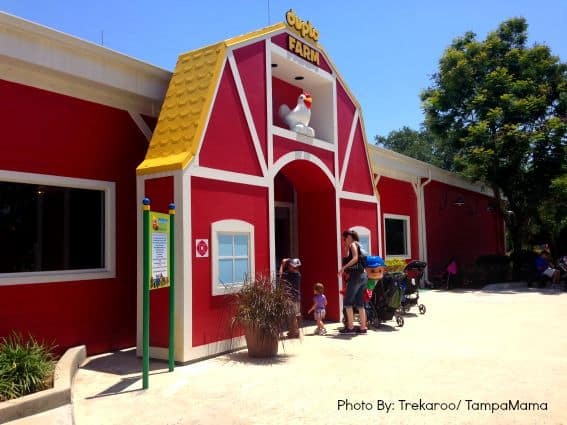 It’s air-conditioned inside the DUPLO Farm, too, so stay awhile and cool down at their indoor playground! The park hours are only from 10am to 7pm. Plan to stay all day to get your money’s worth and check off as many rides and attractions as possible. Don’t forget to check the calendar and plan a visit in conjunction with special events like Brick or Treat, Christmas Bricktacular, or the Kids’ New Year’s Eve! Experience all the fun, holiday-themed activities planned, which make a visit even more awesome. These special events are included in the admission price. Check the official website for dates as they will vary each year. 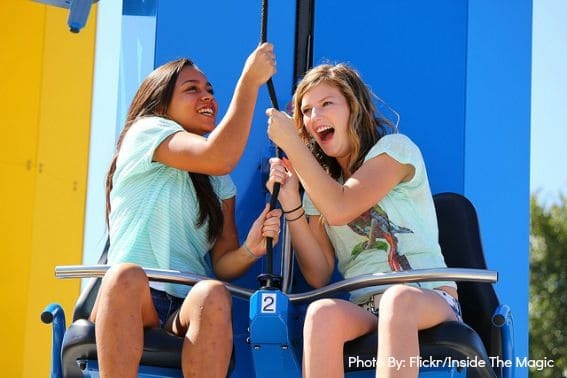 Pro Tip: Look into field trip specials, Scouting discounts, birthday party specials, or VIP Experiences too! Very helpful review for planning our Orlando vacation. The information on the shuttle service was great. Thank You..